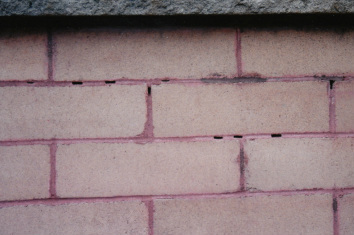 The new re-pointing was characterized by scattered voids in the mortar. 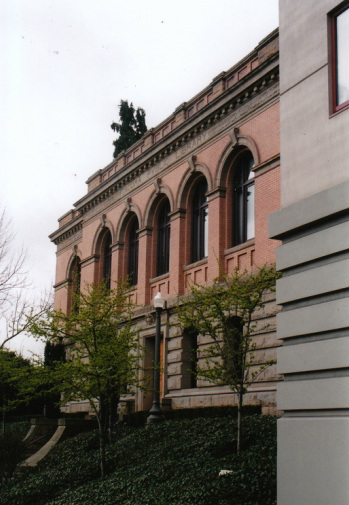 Project Summary:	This historic masonry library building was in the process of having its masonry joints re-pointed when issues arose between the owner and contractor concerning alleged deficiencies in the re-pointing. PL:BECS Services:	After fruitless efforts to resolve these issues, PL:BECS, due to its specialized expertise in masonry construction, was retained as an independent, third party expert to evaluate the situation. 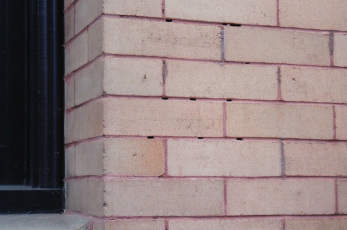 The PL:BECS investigation confirmed that installation flaws plagued the re-pointing effort, with numerous voids formed within the new mortar joints. These workmanship problems were exacerbated by the building’s very narrow mortar joints, which posed challenges for the masons. As a result of PL:BECS input, the dispute was resolved by the parties without need for costly litigation.